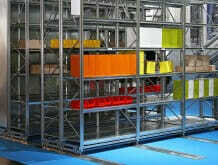 Mobile racking is standard racking that is mounted on motorised bases. 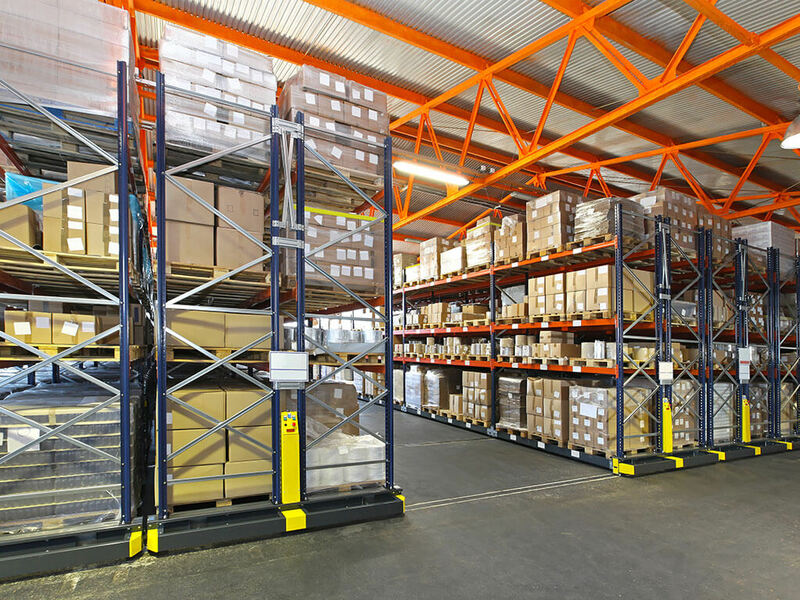 Because the racks can move to create or remove space between them, you can increase storage capacity and save up to 40% of the space required by conventional pallet racking. Increase storage capacity by eliminating most of the aisles and block racking. Can be operated manually, by remote control or by computer, systems with locking features can also increase security. Any type of racking can be used, along with standard forklifts - you could save up to 40% of the space required by conventional pallet racking. 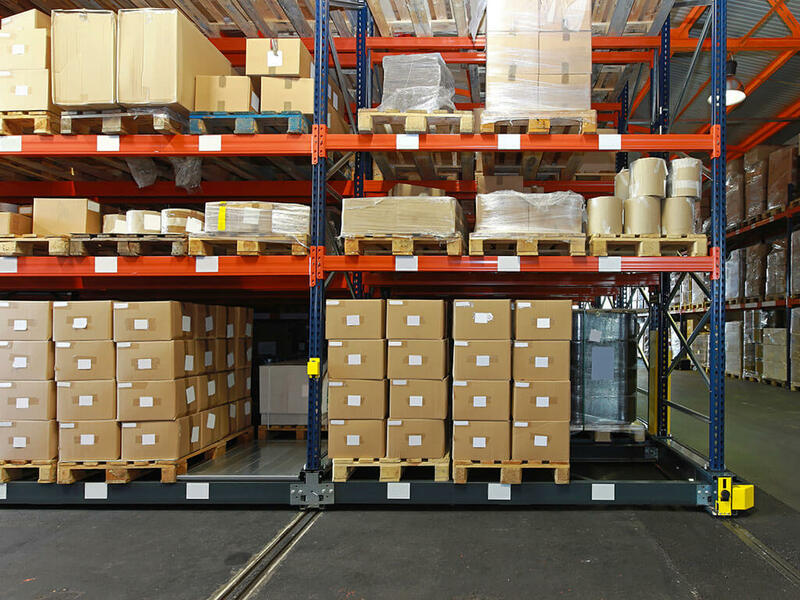 Because the racks can move to create or remove space between them, you can increase storage capacity by eliminating most of the aisles and block racking. 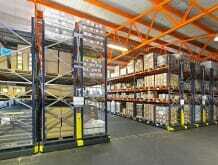 Goods can be accessed efficiently and usually just one operating aisle is needed for pallet retrieval. This system uses up to 90 per cent of your floor space, but you still have access to 100% of your products. 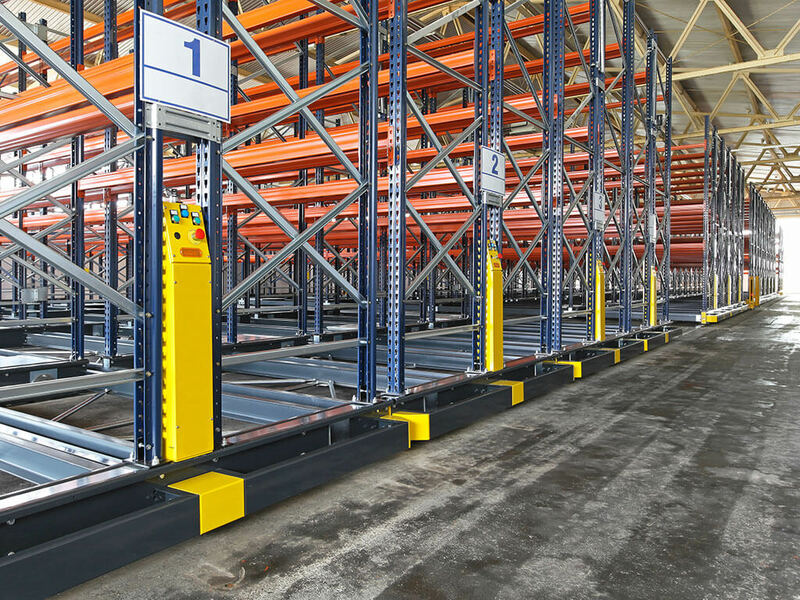 The racking can be moved as individual aisles or whole sections and can be operated manually, by remote control or by computer. 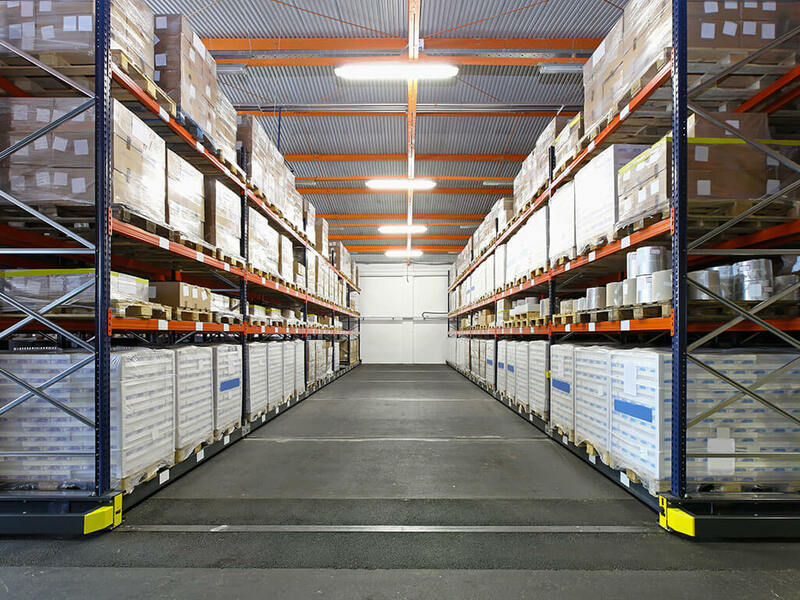 Any type of racking can be used, along with standard forklifts, and you could save up to 40% of the space required by conventional pallet racking. Systems with locking features enable you to restrict access to increase security. 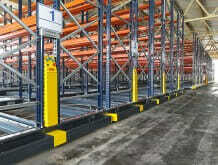 Flexibility to choose any type of racking to combine with the mobile bases. Use up to 90% of your floor space. Operate manually, by remote control or computer, systems with locking features can also increase security. Highly-efficient – only one operating aisle. Maintains 100% individual pallet access. Good for when batch-storing pallets or other goods that need to be accessed all at the same time. Ideal for cold storage (frozen and chilled). 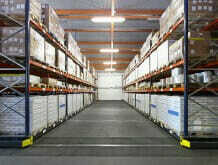 Suits newly-developed warehouses, as specially-constructed floors are required.